Four Biblical Stories and Sites in Ma’ale Adumim - Breaking Israel News | Latest News. Biblical Perspective. The community is much more than a residential area – it features various stunning, cultural, educational, and historical sites related to the Bible. 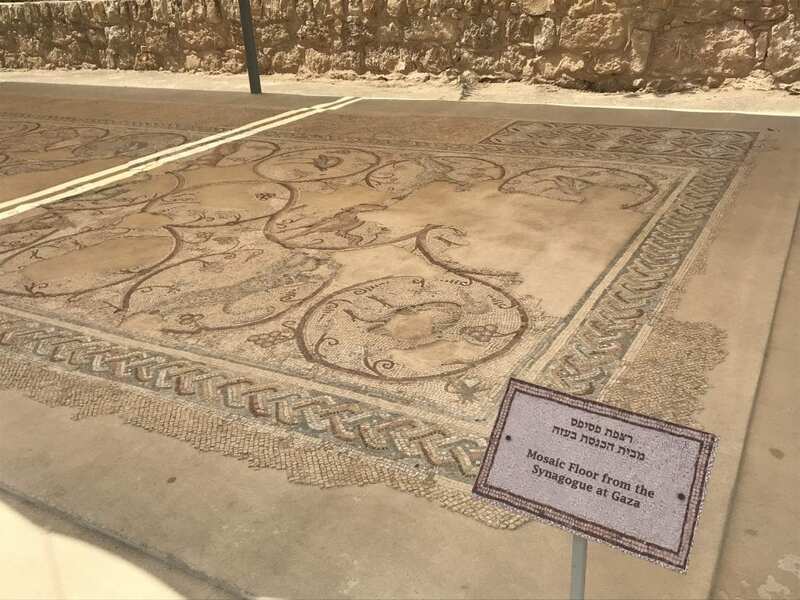 Breaking Israel News toured four of these sites with Tour Adumim founder and director, Shelley Brinn, who seeks to showcase the area’s diversity, beauty, and biblical value. 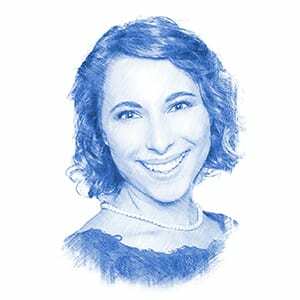 “I am passionate about the region of Ma’ale Adumim, which borders both the tribes of Judah and Benjamin. The desert landscapes, the natural springs, the artists, and the ancient olive trees bring me back to biblical days when the children of Israel lived here after crossing over the Jordan River and settling in their homeland,” she said. Moshe Castel, a 15th generation descendant of Jews expelled from Spain, was born in 1909 in Jerusalem. After finishing his studies at Bezalel School of Arts, Castel traveled to Paris, the art capital of the world at the time. There, he met many famous artists including Picasso, Matisse, and Chagall, each of whom influenced his art. When he returned home to the holy land, he settled in Safed and grew the art scene in the city, now famous for both Jewish art and mysticism. In Safed, his work began to reflect the local character, often portraying biblical stories such as the love story between Jacob and Rachel. A New Testament story tells of the Samaritan who helped out a fellow man. The parable tells of a man who was robbed and left injured on his way to Jerusalem. A Cohen and a Levite passed by and did not help him, but a Samaritan helped the injured man, brought him to the inn, and paid for his lodging there. In Christianity, the parable is a symbol for helping others in times of need without expecting anything in return. The story has also led to modern day laws that require citizens to help others in times of need. The museum contains mosaic floors from Byzantine Period synagogues, churches, and Samaritan synagogues dating back to the fourth through seventh century CE. Israel’s national flag. The source of the color: a glandular secretion of murex snails indigenous to the Mediterranean shores, near Haifa. 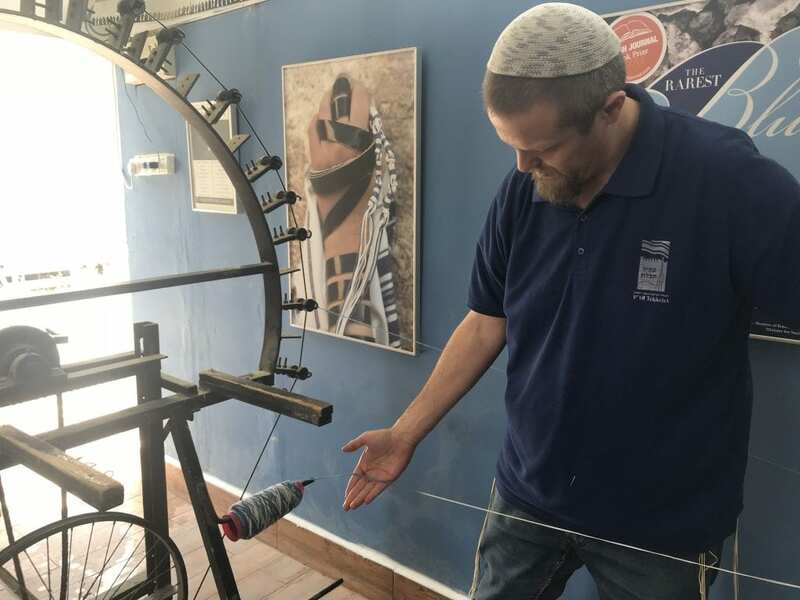 Now, the biblical color is seeing a revival, with people once again wearing tekhelet on their tzitzit, largely credited to the Ptil Tekhelet Factory. A unique spring in the northern Judean Desert, Ein Maboa features a hiking path, waterfalls a picnic area, a natural pool, caves, and mosaic floor. The spring is connected to the larger Ein Prat, part of the riverbed that carries water from Jerusalem to the Jordan River. Along the streams, one can find remains of ancient water systems and Byzantine monasteries, as well as the Fara Ruins, above the northern bank of Ein Prat. Archaeological remains include potsherds, a large wall and burial grounds that suggest the area could have been the biblical city of Parah, mentioned in Joshua 18:23 as a Binayminite tribe. Every day, the spring completely empties and refills again, a process in which water drips through the limestone ground, filling up a karstic cave. The pool empties out and the process begins again.